Because we can't let a bit of rain spoil our fun! We’re a month into our 3 month SE Asia trip and we finally see the sea!!! 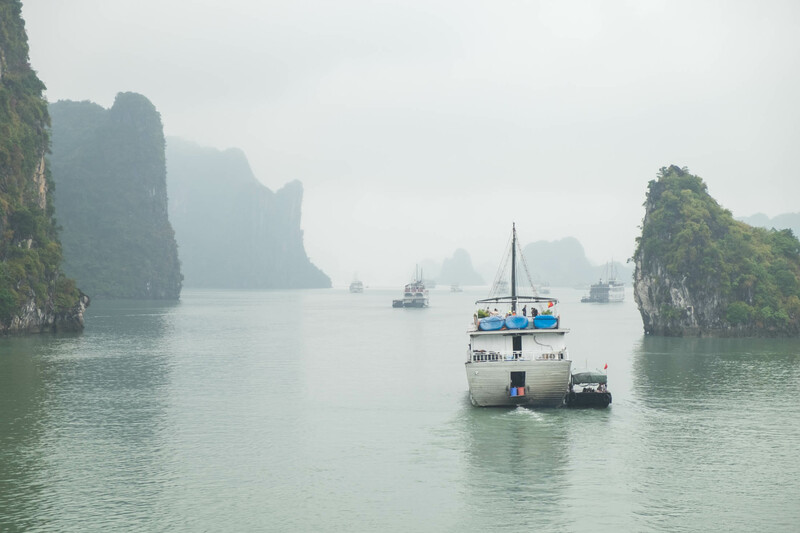 Albeit it’s cold and rainy but Halong Bay and the thousands of limestone islands have been on my wanderlust list forever. 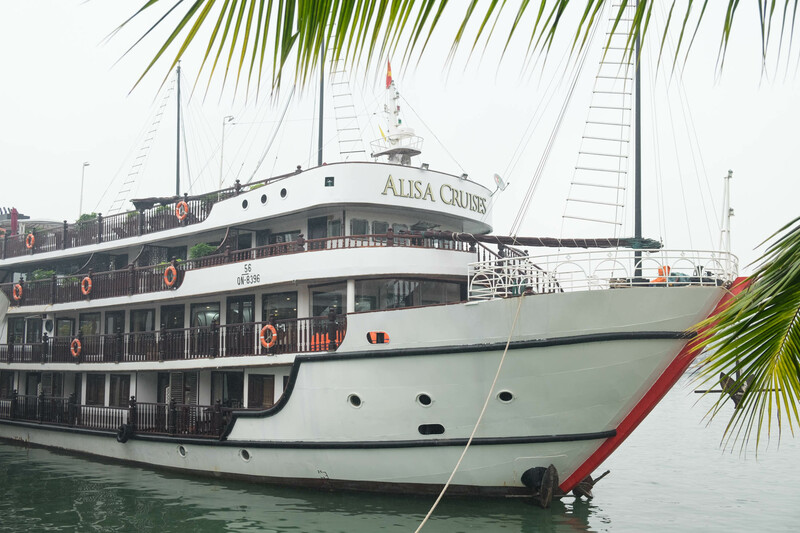 Off the coast of Vietnam, Halong is best seen by boat so we’d booked onto a 2 day fancy pants cruise to travel round the bay in style. 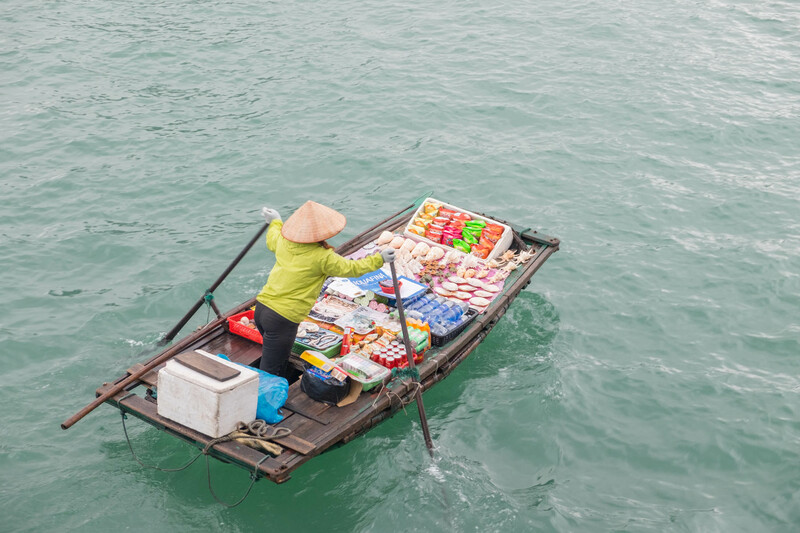 We were picked up in a minibus from our hotel in Hanoi about 7:30am and arrived to the boat at midday to check into our cabin. On leaving the harbour we get further into the bay and the views are just incredible. The weather had been looking a bit grim for days so we actually were really worried we weren’t going to be able to see anything and it’d be a total waste of money/time but in the end the mist kind of added to its magical charm. 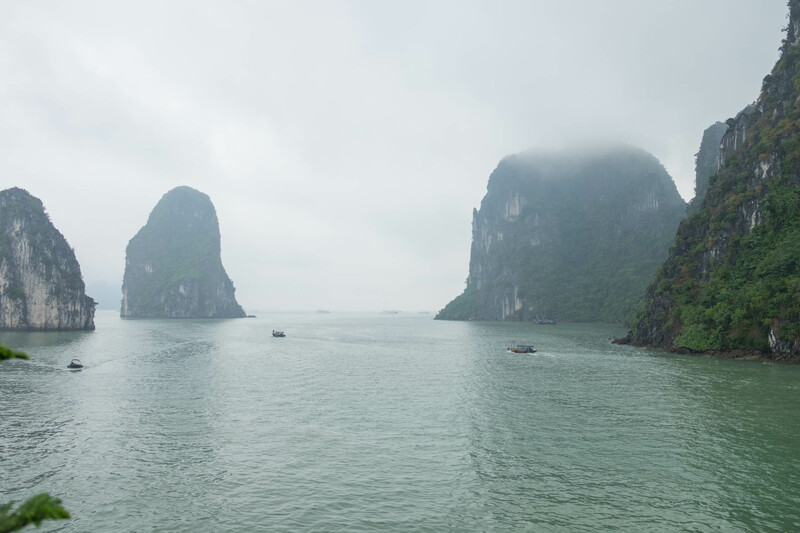 Thousands of towering isles forming such amazing views against the white skies and turquoise waters. BEAUTIFUL (if not a little wet). 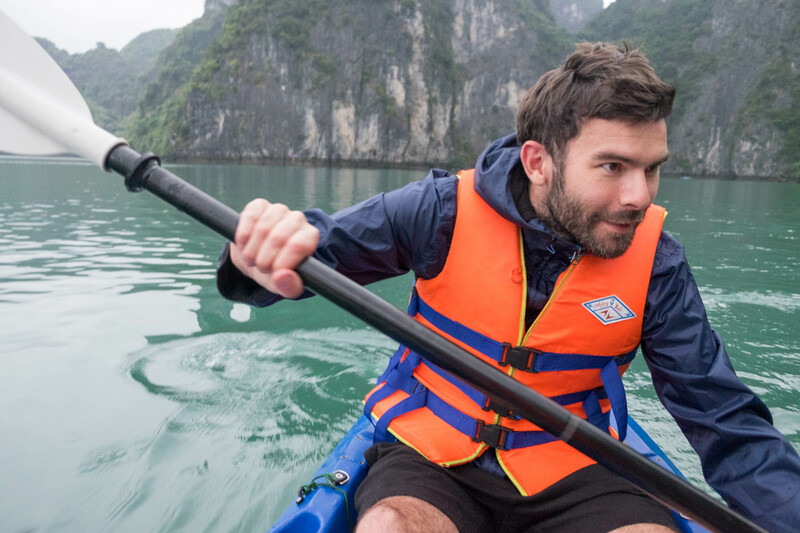 It’s so much colder here in north Vietnam but it didn’t stop us from kayaking. If anything it was a great opportunity to escape the rest of the cruise guests. We’re not usually ones for organised tours! Most of the islands are uninhabited but we did have some locals stop by our cruise ship trying to sell us beer / crisps / shells! Amazing.